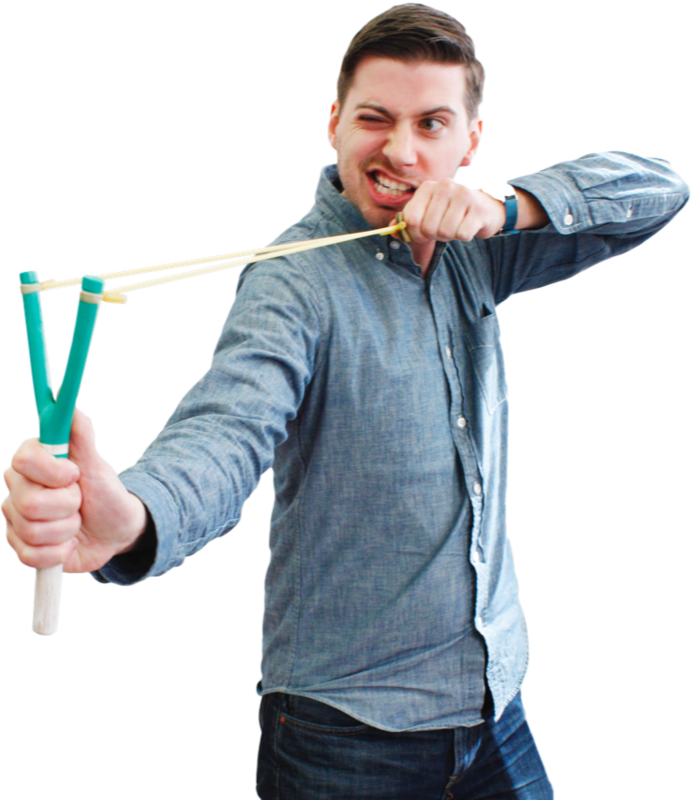 Quirky made invention accessible with an online platform for invention. 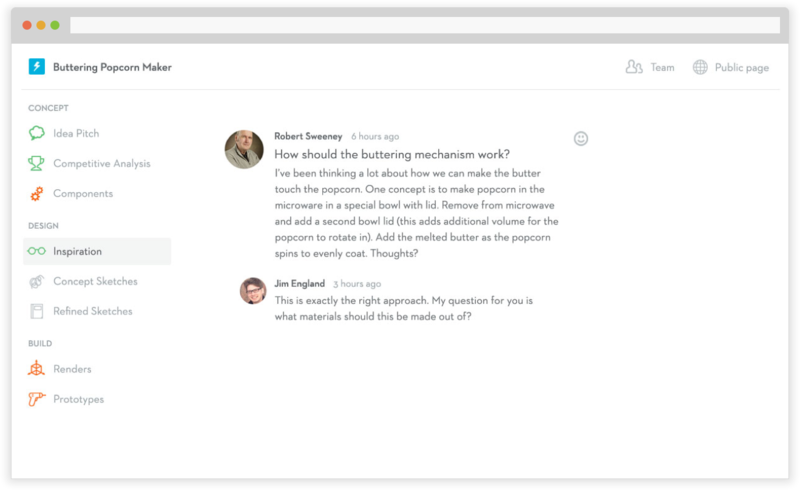 Users were able to submit their product ideas and the top concepts were discussed at a weekly product evaluation steamed live on Quirky.com. If the inventor's product was selected, Quirky would work to develop the physical product and the inventor was given a 10% royalty of sales once the product was available to purchase. In the summer of 2014, we began a project to update the invention submission process. We wanted to improve the presentation of the inventions and allow inventors to add collaborators to work on inventions together, a process that the platform did not support but inventors were currently doing anyways. 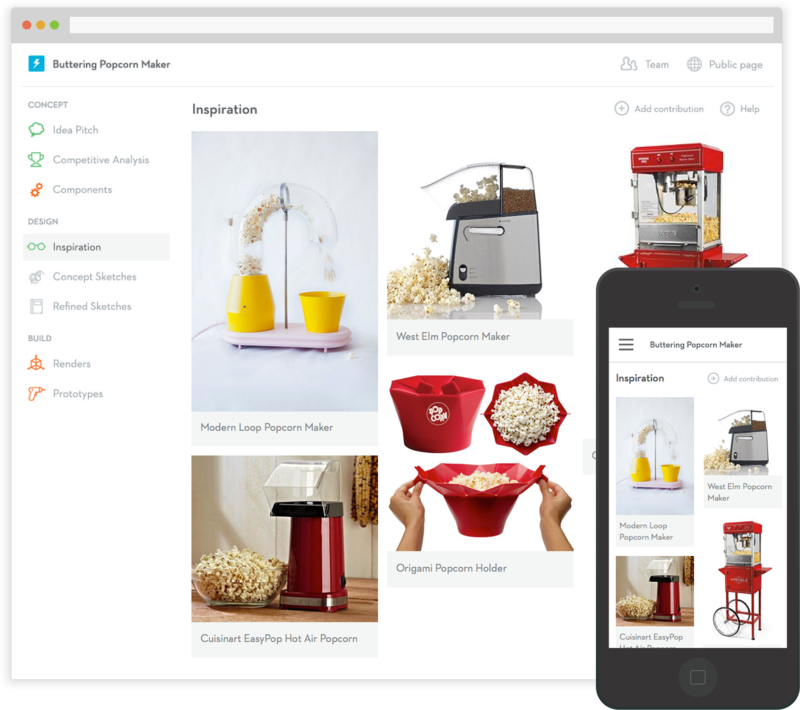 We updated the interface to allow for inventors to submit different types of content — 3D renders, inspiration images, and competitive products — to improve the presentation of their concepts. 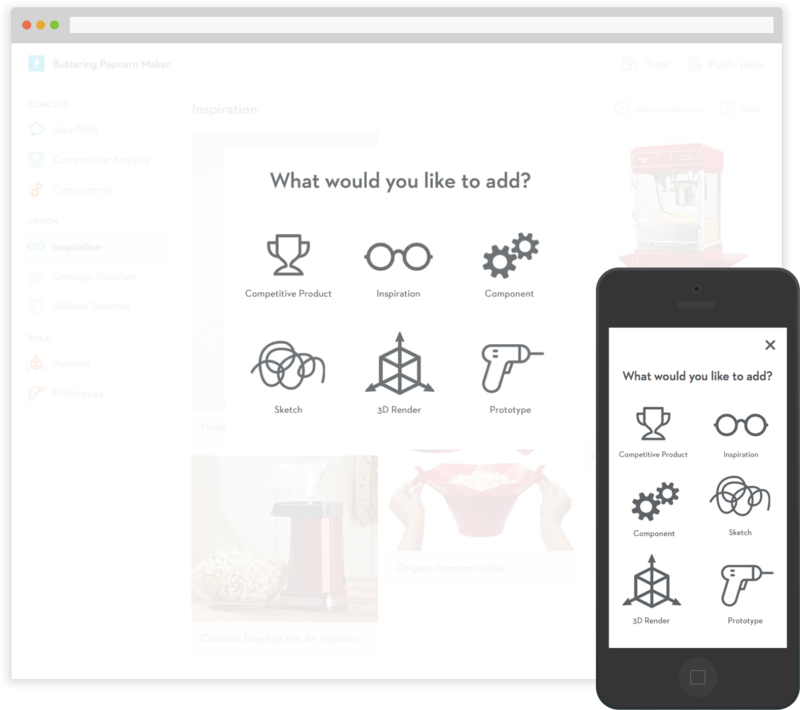 We displayed these content pieces in an actionable interface. You can see the results of this project (with an updated visual design treatment) at Quirky now. Cleveland's own small town, left-handed product designer here. I like to build things that elegantly solve problems and make people happy. In my spare time, I am an amateur historian, novice guitar player, home cook apprentice, and internationally-renowned adventurist.